The World Cup starts Thursday, June 12, and ends on Sunday, July 13. That’s over a month of game play to look forward to, and the excitement surrounding the competition has already started. The 2014 World Cup will be made up of 64 individual matches and will be broadcast to over 200 countries. The total viewership of this year’s competition is estimated to reach a staggering 715 million people. (To put things in perspective, the most recent Super Bowl was watched by just over 100 million people.) This makes the World Cup the single most watched sporting event in the world. Are you one of them? 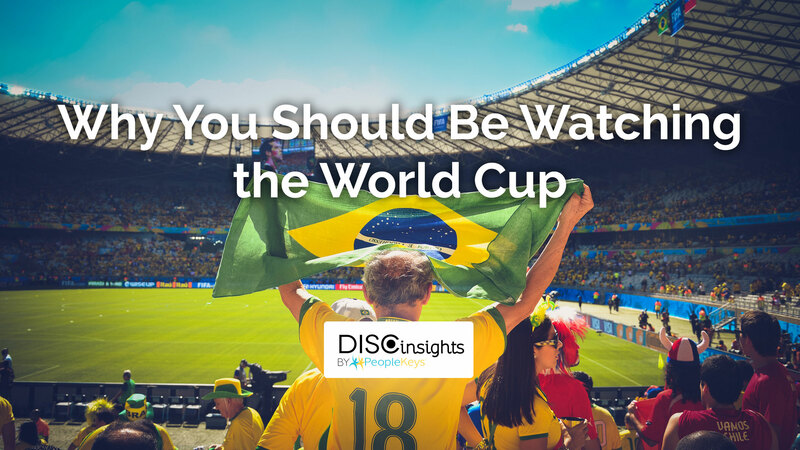 If you’re not traditionally the kind of person that gets excited for soccer, we’ve compiled a list of ways each major DISC personality type can enjoy the World Cup. 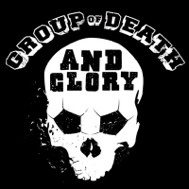 “Group of Death.” Sounds ominous, doesn’t it? For every World Cup tournament, a lottery system is used to divide the competing teams into groups. The groups dictate which teams will play one another in the early rounds of the competition. The group that is widely considered to be the most brutally competitive earns the nickname “The Group of Death.” Why the name? Because the group is packed with strong teams that would normally be considered strong contenders to move to the final rounds of the competition. But when those strong teams are pitted against one another in the initial rounds of the World Cup, it ensures that one (or more) of the strongest teams in the entire tournament will be knocked out of contention. This year, in a stroke of extremely bad luck, the U.S. finds itself in the Group of Death (Group G) alongside tournament powerhouses Germany, Portugal, and Ghana. The head coach for the U.S. team Jurgen Klinsmann called being placed in this group “the worst of the worst” and said, “It couldn’t get any more difficult… But that’s what the World Cup is all about.” We couldn’t agree more. This level of high-stakes, intense competition is something that a D personality would most definitely enjoy. The World Cup is such a big deal in Brazil that the country essentially will shut down for five weeks so that their focus can be shifted to soccer and soccer parties. Who wouldn’t want to watch that? S personality types love to root for the home team and have a soft spot for the underdog. 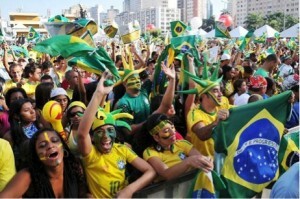 For American fans with an S personality, their innate desire to support the underdog will be put to good use in the 2014 World Cup. This year’s World Cup match-up puts the U.S. in a difficult position. Odds makers are giving the U.S. a 100 – 1 chance of winning the World Cup and…worse yet…6-5 odds of placing last in their group. But is victory impossible? Indeed, not. The U.S. has had success in matches with Germany and Portugal before, so there’s definitely a precedent that suggests a win is possible. Also, the opening match the U.S. is scheduled to play is with Ghana, a team widely considered to be a fairly equal match to the U.S. team. Admittedly, the U.S. team is still considered a 7 – 4 underdog in their match with Ghana, but it’s close enough that things could fall into place for a U.S. win. And from there, who knows? At the very least, we could tie Portugal (which might be possible since their star player Cristiano Ronaldo is rumored to be injured). From there, Germany, who was once thought to be unstoppable, seems to be losing momentum. Questions about their roster and the untested “false-9” formation they’ll be trying in Brazil makes a U.S. victory seem downright possible. An upset by the U.S. would be exciting to watch and a great way for S personalities to tap into their team loyalty. If you aren’t from the U.S., rooting for your country’s home team is still an excellent way to participate in the excitement of the World Cup. Because the World Cup is set in Brazil, the country’s climate will play a big role in the tournament. The extreme heat and humidity will make it very uncomfortable for the players, especially for those from countries that aren’t accustomed to playing in tropical 100-degree heat. Late kick-off times for some of the matches will make game play especially draining, even more so in the brutally hot northeast parts of the country. Consider too how the teams that advance in the competition might be affected by being asked to play multiple games in conditions being described as “inhumane” and “merciless.” The damage is bound to be mental, as well as physical. Games played back and forth across all of Brazil are bound to take their toll on teams. Some teams will be handicapped by their travel schedule more than others. The U.S., for example, faces the possibility of travelling 11,500 miles across Brazil in just 10 days. Belgium, by contrast, will only travel 435 miles to the locations of their 3 matches. Travel fatigue is yet another wild card in an already unpredictable tournament. The construction of the tournament ball is significantly different than in years past, and many experts are speculating that it will have a major impact on game play. In past years, the ball has been constructed in a traditional way, using 32 leather panels stitched together. Eight-panel balls and 14-panel balls have also been used before. But this year, for the first time, players will be asked to use a 6-panel ball called the “Brazuca.” After much testing, researchers have determined that this new design “significantly affects” the ball’s flight in the air. For C personalities, watching how the players adjust to the heat, travel exhaustion, and physics of the new ball will add a fascinating new dynamic to the World Cup game play. When you take these variables into consideration, you gain a much more cerebral appreciation of the tournament. Even better, you can impress your friends with your savvy game predictions. No matter what your personality type, there’s something to look forward to about the World Cup. Whether it’s the intense competition, the party atmosphere, feelings of team loyalty, or appreciation for strategic dynamics, the tournament is shaping up to be one of the most interesting we’ve ever seen. Use your personality as a guide and join the other 700 million fans worldwide in support of this global phenomenon. If this convinced you to watch the World Cup, check out some of the players you might see play!